Investing in Tooling and Fixtures in Manufacturing | Vista Industrial Products, Inc.
Before we jump into how important tooling and fixtures are in manufacturing, let’s take a step back for a second. It is important to mention that there are three different types of manufacturing: Prototype, Production, and Mass Product. The largest distinction between the three types of manufacturing, besides the quantities produced, is how the product is fabricated. Prototypes are more hands on fabrication due to the low quantities. Whereas, when a product reaches the production and mass production stages, fabrication is mostly automated. A single product may go through all three of the different manufacturing types, come out with the same result, but the method of how it was manufactured is completely different. For more information on the individual production types and how they differ, click here. So now that we have the three manufacturing types out of the way, keep this in mind while we begin the tooling and fixture topic. Manufacturing really defines a product and how it can be successful in the market. If certain aspects of manufacturing aren’t considered, the cost of manufacturing can be a huge benefit or a hindrance to the success and profitability of the product. One of those important aspects is the tooling and fixtures used to fabricate the parts. During the prototype stage, the product is at its highest cost due to the low quantities, economies of scale, and labor time/cost. Generally tooling and fixtures should not be a huge investment during the prototype stage because the design may change, and you won’t be making large quantities so the cost of investing in tooling and fixtures is not practical. It is important to note, however, that during the design and prototype stage, it is crucial to consider designing the part to be ready for production and mass production stages and where tooling could be an option. Once a design has been proven out, the prototypes are a success, the demand for product is growing, and you finally get to production and mass production stages, it is now time to begin thinking of how you can make your product more profitable. As mentioned above, there are certain aspects of manufacturing that can be a huge benefit, and this is definitely one of them. The purpose for tooling and fixtures is to help with the automation of manufacturing. When reaching production and mass production stages, it is important to have the manufacturer determine what ways the product can be made easier, cheaper, and quicker. This is where tooling and fixtures come in to save the day. This should definitely be a topic that you discuss with your manufacturer to determine what aspects of your product will benefit using tooling. Whether its a punch tool that punches a unique design into sheet metal instead of the time and cost to laser out the design. Or it could be a stamp tool that stamps out the entire part in one hit. It really depends on the product and how its being made. 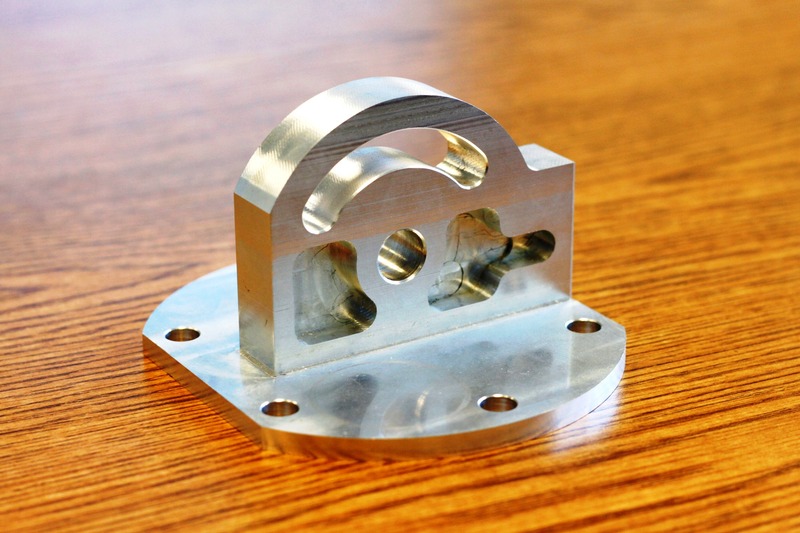 The initial cost of tooling and fixtures is usually steep depending on the type and function. But the cost shouldn’t be looked at as a downfall, but rather as an investment. Look at it this way, say for example you have a product that cost $50 a part to fabricate without tooling, has a 4 week lead time, and you are having 1,000 parts made quarterly. You are looking at $200,000 for 4,000 parts per year. Now lets look at the same situation, but if you purchased tooling to ease the manufacturing costs and lead time. The tooling costs $20,000, the product now costs only $40 a part with tooling to manufacture, and has a 3 week lead time for 1,000 parts. To fabricate this amount quarterly, you have saved $20,000 in just one year. Not only are you getting parts faster since they’re easier to fabricate with the tooling, but the cost to fabricate is also cheaper. This is a great business investment because it can allow for more profit and competitiveness in the market. If you have a product that is successful and the demand is ramping up for you to produce large quantities, take the time and look into how your product could benefit tooling. Here at Vista Industrial Products, Inc., we have had the opportunity to work with many companies and their high demand products. We have helped to determine what tools would make their product efficient to make and how the customer can get the most bang for their buck! We are always aggressive in partnering with the companies we work with in order to make their product more successful for them and for us. If you are looking for a high quality metal fabricator for your products, someone who can provide a one-stop shop and value-added engineering, contact us today to speak with our Business Development Team to see how we can develop your products to be a success! This entry was posted in Engineering and tagged fixtures, invest in tooling, manufacturing, tooling by Britney Blue (Payne). Bookmark the permalink.